Dr. Shaker Dakhil has been recognized as an author in a trial of patients with diagnosed breast cancer metastatic to bone in JAMA Oncology, which is “committed to publishing influential original research, opinions, and reviews that advance the science of oncology and improve the clinical care of patients with cancer”. It is a journal for scientists and clinicians in this specific field. Dr. Dakhil has been named as one of the authors responsible for the critical revision of the manuscript for important intellectual content. A total of 416 women were randomized in this trial of Zoledronic Acid regimens. The hypothesis tested was that Zoledronic Acid over 12 weeks was non-inferior to Zoledronic Acid every 4 weeks. The manuscript is available in its entirety below. 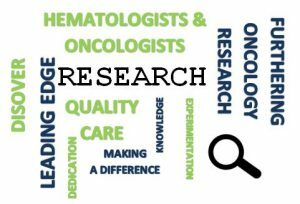 We are so proud to have physicians at CCK that are constantly furthering the research of oncology.